Cool thanks for this hot tip! This will help people to create more visually pleasing charts. Keep up the great posts! This is the info I need but I have Excel 2010 and can't seem to find where/how to make these adjustments. Can you provide updated information? 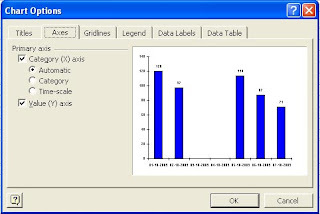 On Excel 2010, you need to right click on the chart axis labels and select the option "Format Axis". It will open a dialog box where you should go to the "Axis Options" tab and on the "Axis Type" option, instead of choosing "Automatically select based on data" option you should choose "Text axis" option. This will avoid the empty dates on the chart. Thanks for the great tip, just what I needed! Tried multiple answers and this was by far the best. 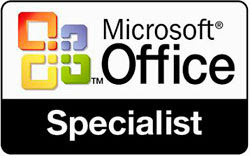 for the great tips on Excel 2010!! I was having so much trouble trying to figure it out, thanks for posting! Much appreciated!! Hi, any chance you know how to do this on Excel 2013? In Axis Options there is no Axis type. Thanks for your time. người đều là Đấu tôn. Nam Cung Lạc Nhan cất tiếng nói. Lê Tiêu Dao cất tiếng nói, sau đó không vui nhìn Dương Thiếu Phong, trong chớp mắt đã tiến lên phía trước. - Hóa ra là người của Vạn kim Môn và Cuồng Sư Môn. Thank you was very helping! I had been using MarketXLS for this and it's great.